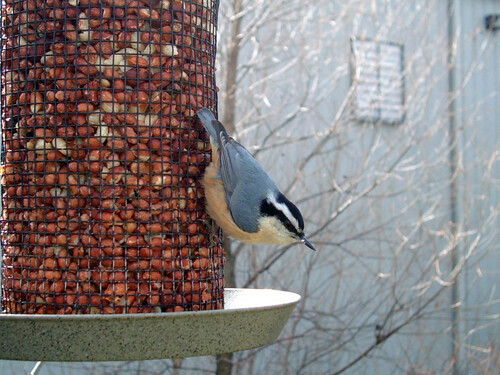 I’ve been well pleased with the birds we’ve had stopping at our peanut feeder this fall so far, especially the regular visits from both Red-breasted and White-breasted Nuthatches. Both species were rare back yard sightings in the past. I set our Wingscapes Birdcam out to capture some images over the last few days. 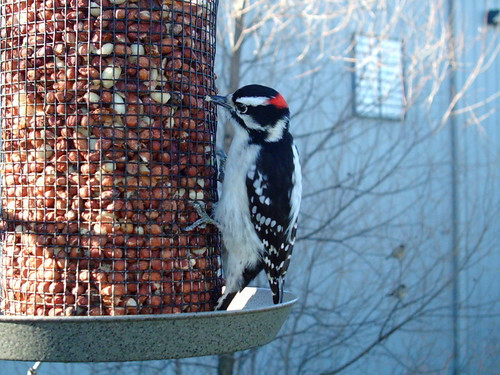 There were a few surprises – birds that normally aren’t considered nut feeders. These guys didn’t stay at the feeder too long. OMG a Pine Siskin! 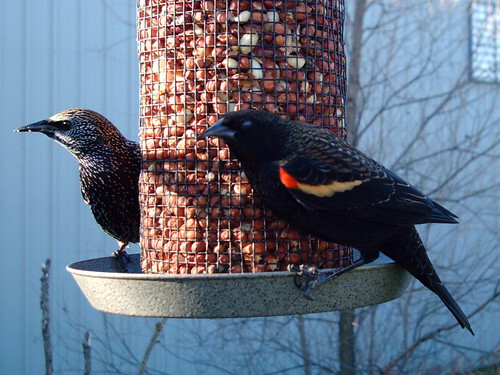 Haven’t seen these in the yard for ourselves yet – thanks Birdcam! Then there were the expected birds. 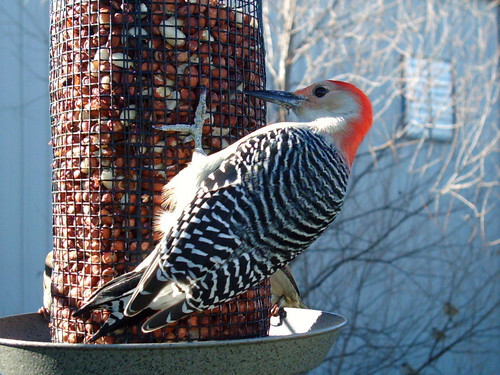 I’d like to see Red-bellied Woodpeckers more often, and these nuts seem to bring them in more than the suet & nuts in the shell (yay!). Hopefully they’ll all continue visiting during the winter. Tomorrow, though, I’m putting the camera on a finch sock or something. I mean, really, a Pine Siskin!?!? 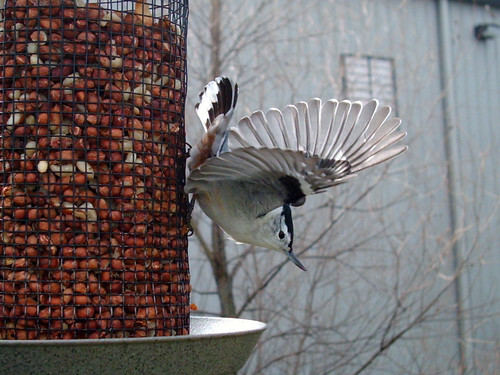 This entry was posted in Bird Photography Weekly, Wingscapes Birdcam, Yard Birds. Bookmark the permalink. 10 Responses to BPW: Totally Nuts! How cool is that Amy? Very cool I say. I think your nuthatches will become resident. I have a pair that nest on my property and visit my feeders all the time. The Pine Siskins generally stick to the thistle feeder though. I’ve never seen them on the nut feeder. The birdcam sure gets some nice flight shots of those birds. 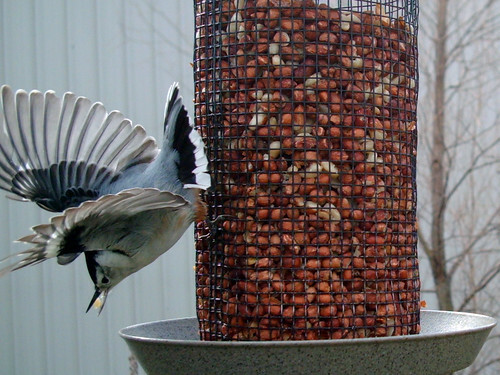 How far away from the feeder do you have it placed? I think I should put mine up! I really need to get one of those feeders . . . so long as it comes with all those birds 🙂 Pine Siskins are awesome! 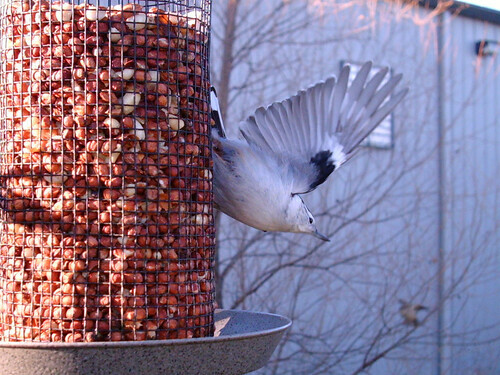 I think the junco, finches and siskin were just seeing what the other birds were after – they aren’t really nut eaters. 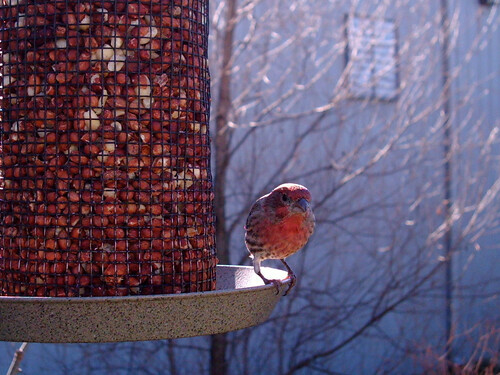 I put the cam on a finch sock now so hopefully I’ll see more siskins. I still haven’t seen any when looking outside, though! Grr! 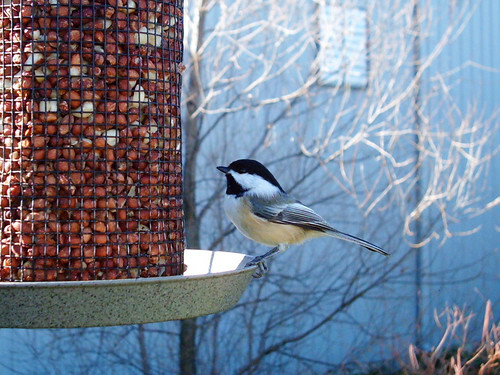 The cam is about 18″ from the feeder, using the Wingscapes pole mount arm. Usually flight shots are a bit blurry. Not sure what the White-breasted is doing differently to get those shots. Take-off in slow motion? 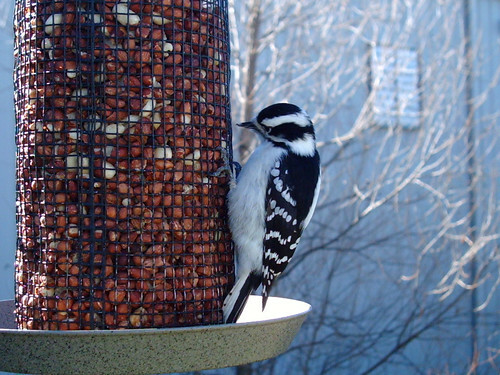 By the way, that feeder is the Stokes Select Seed Screen Feeder and the woodpeckers & nuthatches really, really LOVE it! Excellent cam images Amy! Birds eat strange things sometimes. 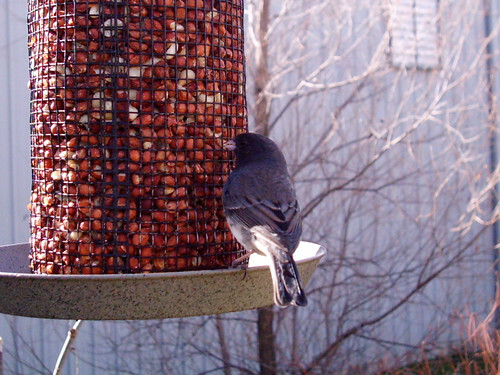 We have a Junco that loves to eat thistle seed from the finch feeders. 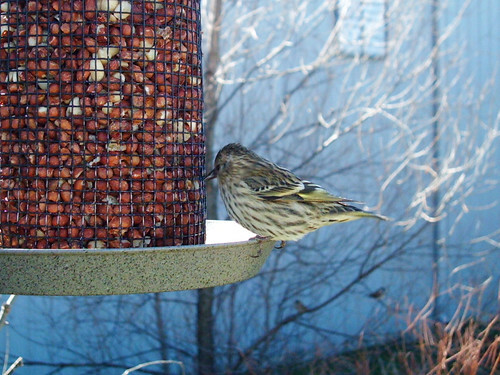 We had over 100 Pine Siskins visit our feeding stations yesterday. They are on the move big time. 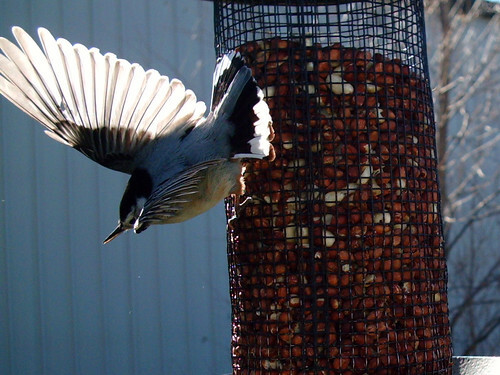 Great photos and how nice to have that many birds visiting your garden. Great images. I’m surprised by the variety of birds attracted to this type nut. Love the feeder, too. I want one of those nut things too. What great photos. 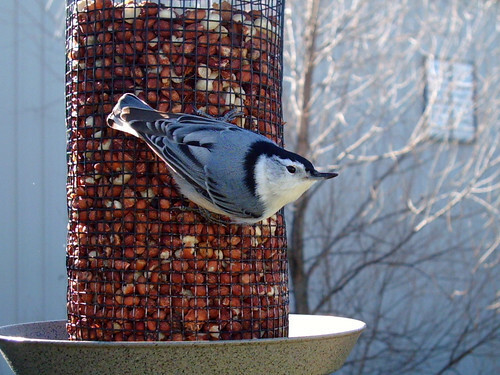 Looks like a birdcam is a fun toy to have at the feeder. Flight shots are really great. You could spend all day trying to do catch that with a DSLR. Can’t wait to see what you capture next! several goos shots. But I loved the starling and the blackbird. They look a bit different from ours.